Master Terry Bradbery is one of the WSTA's longest serving instructors. 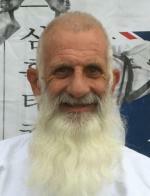 Master Terry has been teaching Taekwondo for over 30 years and has accumulated a great wealth of international experience as an instructor teaching classes in NSW, QLD and New Zealand. Master Terry continues to support the art of Shim Jang Taekwondo with great dedication and loyalty. Master Terry now lives in the NSW Hunter Valley, he is required to travel extensively throughout Australia assisting the WSTA Examiners and supporting the many new areas that are being established. Master Terry has a wealth of experience and enjoys sharing his knowledge with all members,he typifies the organisations code....Integrity, Loyalty and Respect.